The Second Sino-Japanese War (July 7, 1937 – September 9, 1945) was a military conflict fought primarily between the Republic of China and the Empire of Japan from 1937 to 1945. 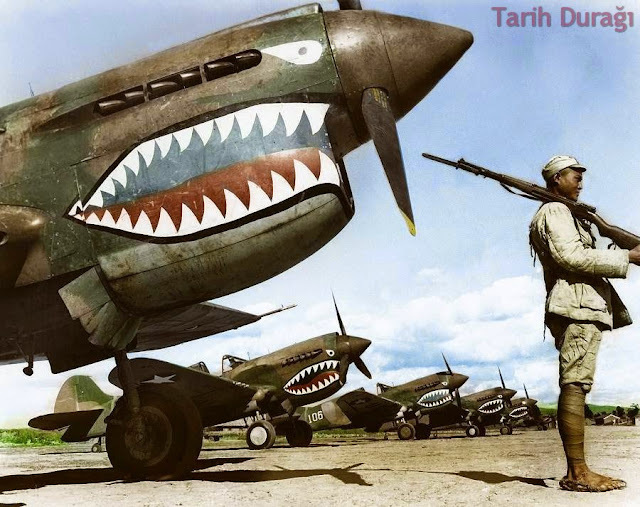 The USA helped China against Japan with their aircraft P-40 Flying Tigers. Soldier guards a row of Curtiss P-40 'Warhawks' flown by the 'Flying Tigers' of the American Volunteer Group (AVG). July, 1942.